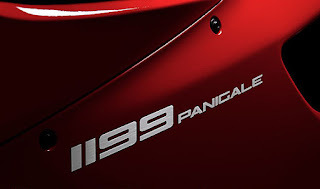 The new Ducati 1199 Panigale is a whole lot of bike and the first Ducati superbike with a name; normally just numbers, such as 998, 1098, 1099. The name is pronounced "Pan-ee-gah-lee" and if you ever come up against one at a traffic light, unless you're packing, best you knock over your king and accept "Checkmate". A short quote from the site, "In calculating the optimum configuration to achieve the next big step forward in power output for the L-twin engine, Ducati and Ducati Corse engineers increased engine speed and enhanced breathability with the incredible bore and stroke of 112mm x 60.8mm. The intense study of power and ridability resulted in an output of 195hp @ 10,750 rpm." The new Superquadro engine is lighter and produces more power, which sounds about right for Ducati's innovative technology and Italian brains. The site is packed with content, check it out! If you're a biker in Cape Town, join Digital Bikers.